As time passes by it’s inevitable you’ll see new bands finding ways to innovate your favorite genres to make them fresh again. Sometimes you’ll be impressed by what new bands can do to change a genre, while other times you’ll be left wishing for something more traditional. 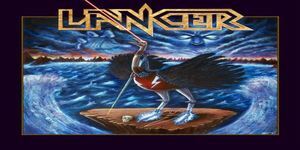 One band that can help a fan of either classic power metal or heavy metal recover from a disappointing modern album is the new Swedish group Lancer, who like to pretend that the 80’s never ended. I certainly don’t mean that as a bad thing, though: While their self-titled debut won’t win points for originality, it will definitely please someone who just wants simple, fun old-school metal with no flashy modern elements added. The three main influences of the band are quite obvious: For the more power metal side you can clearly hear hints of Helloween and Gamma Ray, while the more traditional heavy metal passages will often remind one of Iron Maiden. Musically this is a very solid album, with a lot of energy to it along with some solid riffs and excellent melodies. The songs are mostly straight-forward with few surprises, but the choruses are quite catchy and the songwriting is consistently strong throughout. Most songs are rather fast-paced and, as the first paragraph would imply, everything is as traditional as you’ll find on a metal album today. Vocally, the album is good but perhaps not spectacular. Isak Stenvall usually sounds like a typical Swedish power metal singer, with a fairly pleasant high-pitched voice which works great on the faster-paced songs, while on some songs he tones it down just a bit, and he does a pretty good job overall. I actually think I prefer him on the more heavy metal oriented songs, as he sounds a bit stronger on those, for some reason. None of the songs are particularly inventive, but there’s still plenty of fun to be had with all of them. The opening track “Purple Sky” is fairly by the numbers power metal, with a great opening riff leading into a speedy and very melodic song with an excellent chorus. On “The Exiled” we get to hear a lot of the Iron Maiden influence, as everything from the guitar tone and galloping riffs to the chorus captures the spirit of the British legends, and this continues past the solo and on to the bridge, which makes the influence seem even more obvious. After that come my two favorite songs on the album. First is one of the speedier songs on the album “Young & Alive”, which is an excellent song in the style of early Helloween, where the verses start slow before picking up speed and building towards a ridiculously epic chorus. It only gets better when they do a key change near the end. My other favorite song is actually the slowest on the album, called “Seventh Angel”. No, it isn’t a ballad: There is none of that on this album. Instead, it’s a very nice, slow-building melodic metal epic with the best vocal melodies on the album. About halfway through the song finally speeds up and goes into an excellent solo, and from that point on it becomes a classic. I’d say it’s probably the one song on the album that didn’t remind me of any other band, so that gives it a special distinction as well. 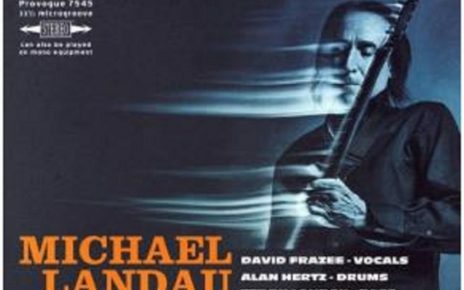 The rest of the album is a bit less memorable, but still very good. Fans of speedy power metal will be more than satisfied with the next three songs, as “Don’t Go Changing” is the slowest of them, yet it’s still quite fast, while “Dreamchasers” kicks things up a notch and “Mr Starlight” is by far the fastest song on the album, with a clear Gamma Ray influence. It’s probably the cheesiest on the album, and yet the chorus manages to put a smile on my face every time, and that’s all I care about. “Deja Vu” is another solid heavy metal song with some bursts of speed to it, while the closing track “Between The Devil And The Deep” is basically a slow-paced Maiden style mini-epic, which makes it one of the highlights of the album. It does have a very slow start, but once it gets going in the second half, it is pretty awesome. On the whole, Lancer have given us very little we haven’t heard before, so anyone preferring bands to constantly innovate and find new ways to surprise the listener, can skip this one. However, for fans of traditional heavy metal and old-school power metal who wish more bands would keep playing like they did in the 80’s, this self-titled debut is highly recommended, as it is a very solid traditional metal album with some very epic melodies. I’m very impressed with this release. Frozen Paradise and Coldspell would’ve been instant hits back in the day, and will hopefully make some noise in this current age. It’s so hard for bands of this type to get any where which is a crying shame as their sound is so spectacular and deserving of people’s adulation. 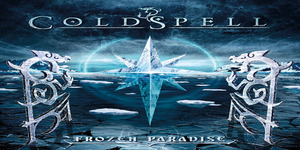 If you love melodic, catchy songs with strong chorus’ and great guitar solos, fantastic vocals and a groove then Coldspell is your band and Frozen Paradise is your album.